The Travelodge Mill Valley is located in Peaceful Marin County, yet only 15-20 minutes from Downtown San Francisco and the financial district. We are just a short drive to picturesque Sausalito, Tiburon, and Downtown Mill Valley. A restaurant is on the premises for your convenience and four other excellent restaurants are within walking distance. It is only a five minute drive to reach many fine restaurants in quaint Sausalito. Our 52 attractively furnished guest rooms and suites offer you a choice of King, Queen and Double size beds. All rooms have air conditioning, touch-tone phones, color TV and free HBO. Several rooms have large Jacuzzi tubs for your relaxation. 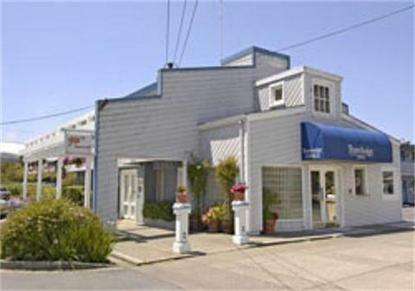 In a mild sunny climate, the Travelodge is situated on Richardson Bay near a Wildlife Refuge with rolling hills. The Golden Gate National Recreational Area, Muir Woods, Stinson Beach and Mt. Tamalpais State Park are within easy driving distance. The famous Napa and Sonoma Wine Countries are less than an hours drive.